Synonymous with luxury premium cigars, Cohiba is the only Cohiba brand that can be purchased in the United States. These cigars are extremely popular and rightly so. The Cohiba features a Cameroon wrapper, which is grown in the sub-tropical West African climate of Cameroon, a Piloto Cubano filler, which is super smooth and is grown in the Dominican Republic and a rich Jember binder from Indonesia. 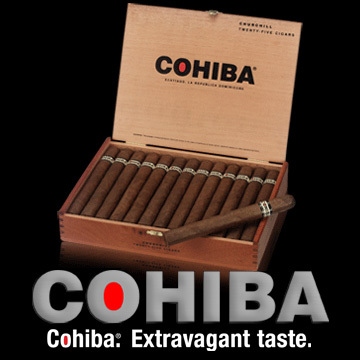 If you are seeking a high quality, premium cigar, but you don't want to be overpowered, then the Cohiba Cigar is your best choice.